What does a Journalist and a Nutritionist have in common? An inquiring mind, that’s what. That’s the only explanation for why my desire to become a News Anchor turned into a desire to become a Health Scientist. No matter what the topic, I always have the burning questions of “How?” and “Why?”. So, not surprisingly, when I learned about the Natural-Laxer Mix (NLM) by Baka Beauty, I asked the questions, "How?" and "Why?". I'm not an herbalist (yet), so I had to do a little digging to uncover the medicinal effects of each of these ingredients as it pertains to the hair and scalp. This volcanic clay extracts impurities from your hair, deep cleaning and conditioning it, without leaving a residue. When you apply it to clean hair, and then wear a plastic cap or heating cap, the heat generated opens up the cuticle, or outer layer, of your hair. The clay then works as a sponge, removing dirt, impurities, and excess oils from the hair. Because it is a high quality clay, it is easily removed from the hair through rinsing. As with other hair clays, it is best to deep condition the hair after using it (to replace moisture that may have been lost during the cleansing process). Myrtle is an aromatic herb from the Myrtaceae family, and has astringent and antiseptic properties. The essential oil from this plant is invigorating and good for promoting circulation. Rose petal powder has soothing properties, and is used in many hair packs and facial packs due to its softening effect. Cloves, detoxifying herbs also from the Myrtaceae family, enhance warm tones in hair and add shine. Nettle is an herb, rich in vitamins and minerals, that stimulates hair roots and can be used to combat hair growth challenges. It has been shown to inhibit the action of 5-alpha reductase, a biochemical substance responsible for turning testosterone into dihydrotestosterone (DHT). Excess levels of DHT lead to the atrophy of hair follicles, and subsequent hair loss. Regular use of Nettle can aid in stopping hair loss, and promoting hair growth, volume, fullness and shine. This follicle stimulating herb has been used for centuries as a "miracle" staple in hair tonics. Sage has antioxidant and antimicrobrial properties, and its volatile oils are considered the main components responsible for supporting hair strength. It is beneficial in treating oily hair, dandruff and other scalp infections. Some people have also reported that the use of sage has helped fill in bald spots and improve the texture of their hair. Lavendar is an aromatic herb from the mint family that has antiseptic and anti-inflammatory properties. It has traditionally been used in aromatherapy and perfumes, due to its calming effect, and clean scent. It stimulates hair growth and conditions the scalp, and may even reduce split ends. So, the sum total of what I gathered is that the Sahara Clay detoxifies and conditions, while the herbs cleanse, condition, and tonify the hair. The actions of the Sahara Clay and herbs also optimize the condition of the scalp, by providing a clean environment for the hair follicles to flourish, and by stimulating the circulation of nutrient rich blood to the scalp and follicles. 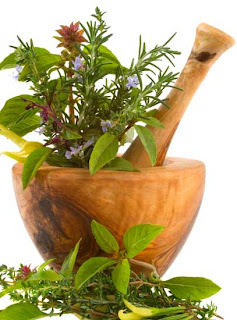 Each of the herbs in the NLM have hair enhancing properties, but they work even more effectively when combined, a phenomena that is common in herbal and pharmaceutical preparations. The loosening effect on the curl pattern is gradual and cumulative, which is why it is recommended that you do 3 applications, 1 week apart each, for the initial use. As far as the resulting texture is concerned, look forward to enhanced definition of your natural curl pattern, not the drastic results that a chemical relaxer or texturizer would provide. It won't change your curl pattern. It will simply loosen it, rendering it more manageable. The best way to do a "compare and contrast" of your hair before and after using it, is to take pictures of your hair slightly wet, after each application (by "slightly wet", I mean towel or tee-shirt blotted, with whatever products you would use for a "wash & go" look). This, of course, is only a suggestion if you are a curious kitten like myself. If it's "not that deep" to you, don't botha'. I've read on a few hair care forums that Rhassoul and Bentonite Clay can achieve the same effects as Sahara Clay. Since I've never used either of the other clays, I can neither support nor contest those claims. I will say this, however. Once, you've used the NLM for the initial 3 applications over a 2-week period, the effects last for at least a month, even with subsequent washes (for me, it's more like 6 weeks). I don't know if the effects of the other clays last as long. But this may be where the synergistic effect of the Sahara Clay with the sundried herbs come into play. This product is Baka Beauty's Natural-Laxer Mix-- NOT to be confused with African Wonders Naturalaxer. Baka Beauty's product is 100% natural, safe to use as a facial, mildly loosens your curl, and wears off after time. African Wonders product is only 92-98% natural, can only be put on new growth, CAN make your hair straight, and the results are permanent. The container of NLM says that you should mix it with Rose Water. Rose Water holds the moisture in and eliminates the inclusion of any unwanted chemicals or minerals that are typically found in regular tap water (It also smells really, really good). If you don't decide to use Rose Water, distilled water is the next best choice. 2 oz are recommended, but you'll really need 3 - 4 oz in order for the paste to be thin enough to apply. NLM does NOT need to be a thick consistency like Henna when mixed. Unless your hair is really, really dense, or long enough to touch your shoulders, the max that you should need is 2 containers for 1 application. Add a tablespoon or so of Olive Oil or Avocado Oil for extra conditioning. The herbs bind to the clay when combined, which is supposed to make rinsing this product easier. But there is a chance that you may still have some herb particles in your hair after washing the first time. So wash thoroughly. Co-washing is sufficient, but if you are more comfortable with shampoo, use a conditiong one, or a less-toxic one (like one from the Aubrey Organics line, which you can get from most major Health Food stores, like Whole Foods or Trader Joe's). If you see a few particles in your hair after that, don't worry about it. The next time you co-wash or do a regular wash, it will all be gone. At the end of the day, the NLM is more of a hair conditioning and detoxifying agent, than it is a hair "relaxer". I've had a lot of people ask me if I'm sure that there are no chemicals in it. I'm only as sure as any lay person can be without sending a product out for independent lab testing. I trust the ingredients lable on this product no more or less than I trust the ingredients lable on any other product that I buy. The fact that the results are achieved slowly and cumulatively and gradually disappear after a short time, is encouraging to me. This "technology", if you will, is only new to those of us in the Western commercial world who are babies, relatively speaking, in the natural hair care effort. 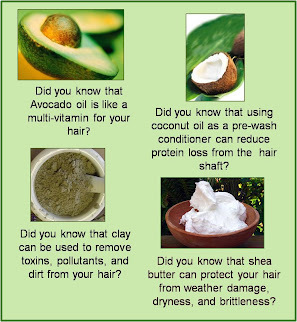 Africans and Southeast Asians have been using clays and herbs to promote hair health and beauty for centuries. It's only since the resurgence of natural hair in our community, as well as the popularity of holistic health, have we begun tapping into ages old natural remedies, cures, and regimens. I'm excited about what else I will find in this journey! I can't to try it in my hair! Hello, I would like to know if you used this product with a heating cap. It's a bit difficult to obtain around me. Would using just body heat work the same. Thank you. I did use it with a heating cap, but you can get the same results just using body heat. You might want to cover your hair with a shower cap, and then wrap a heavy towel around the shower cap to retain the body heat. Keep it on for at least a couple of hours, if you can. I hope that helps! Thank you! My hair was natural. I hadn't had a relaxer for about 3 years by the time I took the photos in this post.